BlackBerry Desktop for Mac 2.1 released | BlackBerry Blast! RIM has released BlackBerry Desktop for Mac version 2.1. The much needed update now has support for the PlayBook. The new version has media sync support with iTunes and iPhone. You can drag and drop over USB and WiFi. Not bad. 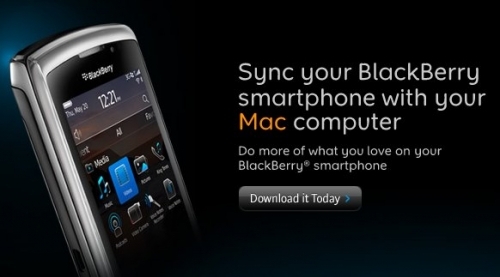 "BlackBerry Desktop Software for Mac v2.1 includes media sync support for the BlackBerry PlayBook. In addition to being able to drag and drop files directly to BlackBerry PlayBook over USB or Wi-Fi, you can now use Desktop Software for Mac to sync music, photos and videos with iTunes and iPhoto over USB. Make sure to get your copy at www.blackberry.com/mac!" With all the bad news for RIM lately, it's nice to see something new. See the link below for the download.